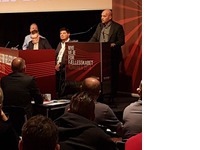 ICU visited Danish colleagues' Congress in Aalborg, Denmark. In the picture the newly elected Steering committee, with the new chairman in the speaker chair. 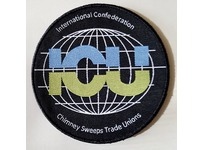 ICU on Tour - second day with our Hungarian Chimney Sweep friends. Visiting the swedish chimney sweep school and getting to know the Trade Union "Kommunal" in Stockholm. Tomorrow we are going the visit the 2017 Euroskills in Gothenburg together. 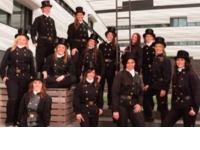 Every year the ZDS (German Chimney Sweep Trade Union) is producing a Chimney Sweep Calendar (Girls only). The ZDS decided this year to arrange the foto shooting right at the Chimney Sweep Festival.